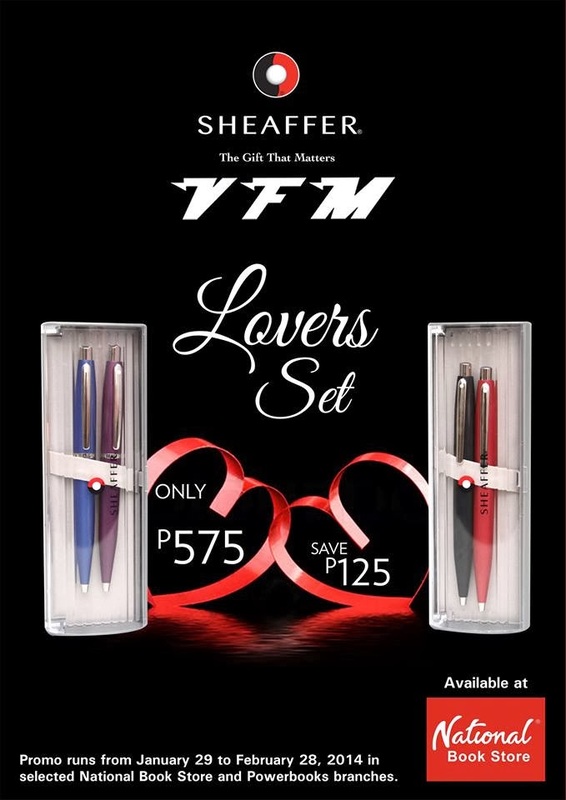 Share the love for each other with the Sheaffer VFM Lovers Set. Save P125 with a purchase of the two pen set for him and her for only P575. Promo runs from January 29 to February 28, 2014 in selected National Book Store branches. all sales, promos, events posted here are for information purposes only. all are gathered through the internet, newspapers, magazines, etc.